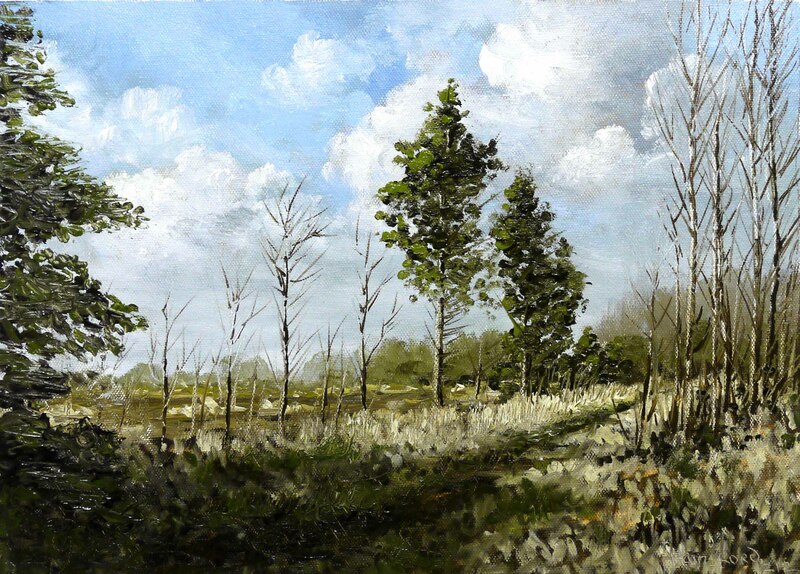 This entry was posted in Oil Painting and tagged Art, Culture, Education, Inspiration, Irish landscape, Painting Instruction, Time lapse painting, Woodland. Bookmark the permalink. I love that you do these videos. You make it look easy…it’s not. Great work and thanks for sharing. You are very welcome Wulfie. Thank you. Enjoyed the video, as always. Love the choice of music, too. I’ve used a palette knife and liked it quite a bit, especially as it enhances the textural feel of oil paints like soft butter. Glad you enjoyed. Generally I find knife painting too slow and tedious and takes ages to dry. Thanks for the comment. It does take ages to dry, true. Your posts encourage me to get my oils out again and first, finish an unfinished painting, and then begin a new one. Am enjoying your blog very much! Amazing…loved the use of the wood dowel. Do you use it to prevent smudging of the work already laid down. I often have waited for the work to dry a little and then laid a sheet of clear plastic over it …I’m thinking I’ll try the dowel though. I really love watching these! Looks so effortless. About how long does it take to create this work in real time? Looking forward to seeing more. Thank you for you interest and comment. I use the stick to support my hand over the wet painting. I usually finish the painting in under 2 hours so I’m always working on wet paint. The ‘Still Life with White Rose’ took nearly 5 hours in 2 sessions. I prefer to start and finish in one session as all the other paintings were. Thanks again. Aaaah…it’s so good to watch you paint! Beautiful. Great to have you back, I missed your encouraging comments. I have started an oil painting course. Your videos are very awesome. They will help me a lot. Thank you very much! I would like to look at this work in real time very much. Can you compress video by MPEG4 codec with good quality and upload to somewhere. I can give you access to my ftp server if it help. I think this be very helpful not only for me. Sorry, I do not know your name, please write me to sastravel2008 (#) gmail.com and i give your account to upload your full video and then I write a link to this video in the web.